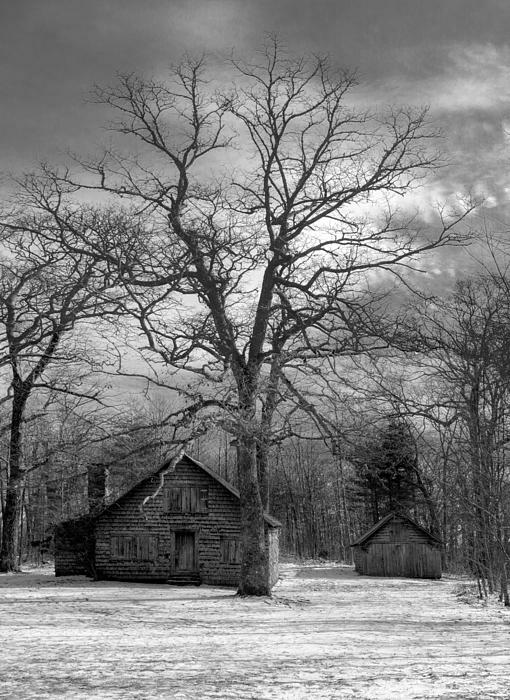 I am not ordinarily attracted to B/W photography. This image is definitely an exception! F/V. Oh a beautiful scene. Voted. Thanks so much for my features! It's an honor! Happy New Year to you both! 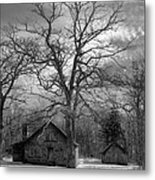 A black and white rendition of the old cabin along the forest service road that winds it's way up to Wayah Bald in the Nantahala National Forest. ............................................................................................... 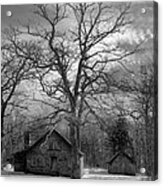 Built in 1916, Wilson Lick was the first ranger station of the newly formed Nantahala National Forest. The Forest's first District ranger, Grady Siler lived at Wilson Lick from 1917 through 1918. In 1929 Gilmer Setser lived at Wilson Lick with his wife and daughter. His forest service duties included maintaining telephone lines and manning the wooden fire tower that he helped to build on Wayah Bald. 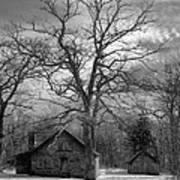 In 1937 and 1938, Wayah Bald Game Refuge Manager, George Crawford and his wife lived at Wilson Lick nearly year-round. A front porch and garage were constructed sometime in the 1940s. The porch was subsequently removed.